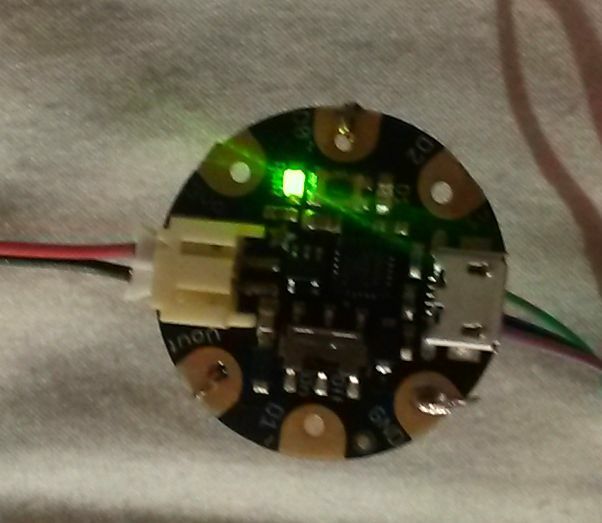 My efforts and other failures with microcontrollers. I’ll see what I can learn. I look at this as a hobby. And Beagle Bone Black works. I have rev B BBB, and rev 3 arduino. I will be spending what time I have to spare on this. Along with comments, on mistakes and good ideas. As you can see, I haven’t done much. I am learning at this early stage. I have some electronic experience. March 16, 2015: I hope to update this site soon. 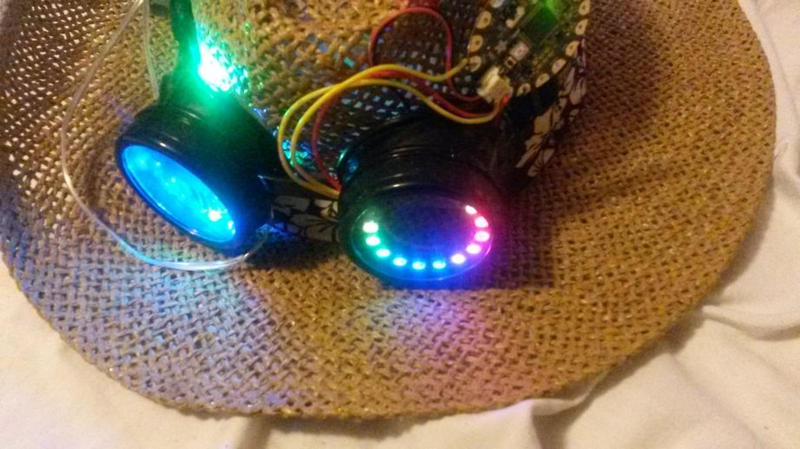 Feb 28, 2016: working on the Adafruit goggle kit and some bits for a different goggles. 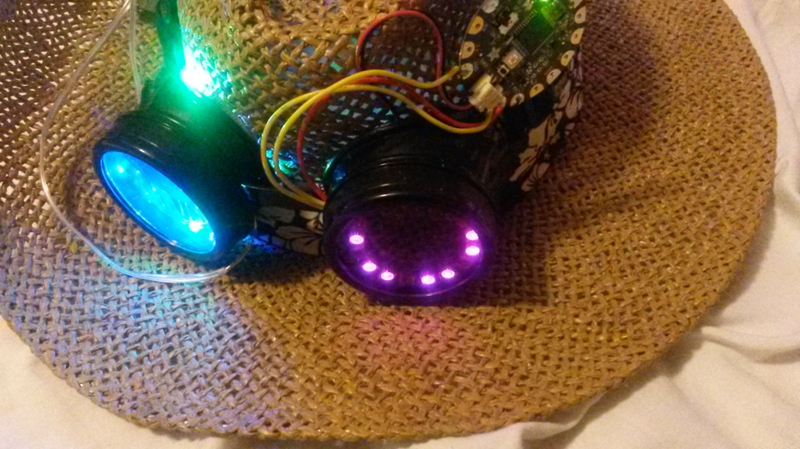 WIn 8.1 did its best to block me from loading the drivers for Adafruit microcontrolelrs, but I got it done anyway. Back in XP it was easy to load drivers, not anymore. July 20, 2017. I ofund some problems with the old site, so I moved it over here. No one, including 1-99seo, helped me make this site. No progress in finding time to work with my microcontroller gear. I may take this site down due to lack of my enthusiasm. I didn’t do much again. 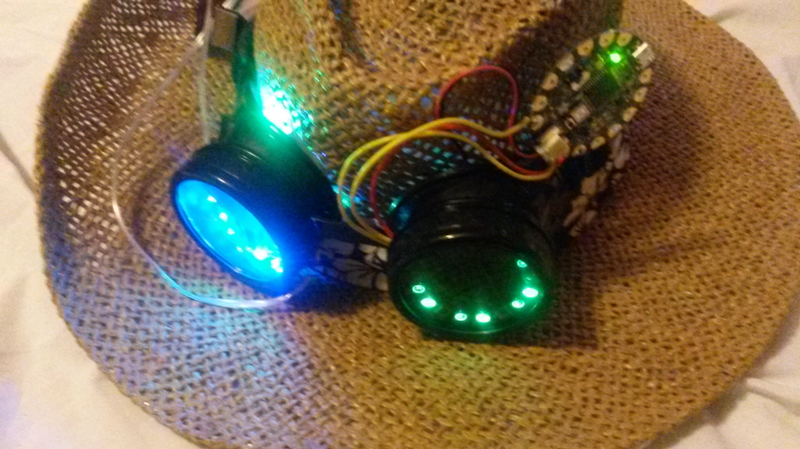 However, I did use El-wire to light up a shirt for a sf convention. Apparently Windows 10, my computer anyway, doesn’t like gemma, nor flora. I’ll try again when I have more time. I haven’t had mich time to do anything… Win 10 apparently doesn’t like the early gemma and flora I have. Fixed the navigation menus so they work again. Categories My blink blink stuff, What is New ? I had problems getting a connection to the gemma on my Win 8.1 laptop, so I switched to a flora. That worked. 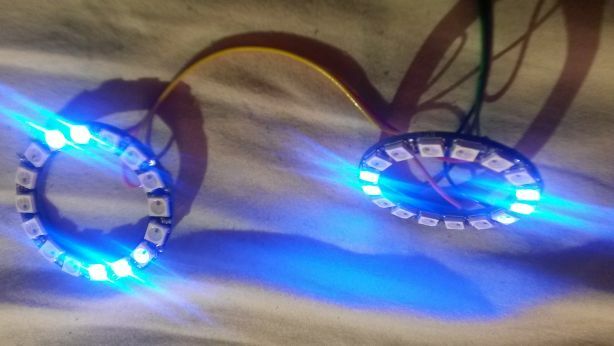 For some reason I could only get the one NeoPixel Ring – 24 x WS2812 5050 RGB LED I had to work with 11 LEDs. It had been out in a store room and likely broke due to temperatures from 19-25F. Since I had only one ring that size, I chose to use the Wire Light LED Strand – 12 Green LEDs + Coin Battery holder in the right lens. Both from Adafruit.com. I toned the brightness down to 25 out of 255 for the ring. These are photos of various colors from the ring. I used part of strandtest and another sketch. My laptop crashed, so I’ll have to dig around and find the sketch I used. It took hours of fighting Windows 8.1’s attempt to ‘protect’ me and ‘help me’ with completly wrong error messages, but I finally got the drivers to load for Adafruit Arduino,Trinket, and Gemma. In a hurry, I purchased some EL wire from the local Radio Shack. 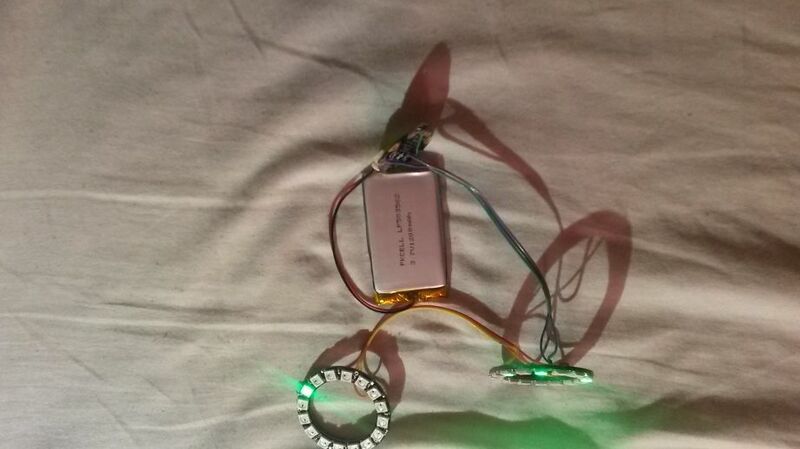 I see on the http://learn.adafruit.com/ site their EL wire can be shaped. So be careful and buy the one that does what you want it to.